For active and extreme summer rest lovers, it is worth to try rafting in the Carpathians. It’s not just the adrenaline and speed, it’s also crystal-clear water and calm nature. Against the backdrop of contrasts, rafting on rafts and catamarans down the mountain rivers of the Carpathians, such as the Cheremosh, the Prut and the Black Cheremosh, will make your holiday unforgettable in Bukovel and qualified instructors take care of your safety. Lots of positive emotions and cheerfulness you get from passing the rapids of mountain rivers on rafts in the special sports gear. Here you can enjoy open views of the scenic shores and slopes of mountains covered with green carpets. Hotel complex Pidhiria organizes downhill on a mountain river with a professional instructor. You will get an unforgettable experience and the adrenaline rush. As for the training and equipment, you can ask any information in our administrator at the reception desk or by phone. We strive to make our guests vacation interesting and varied, so you are back to us next year. The Prut river is a mecca of water sport lovers. One of the most famous tributaries of the Danube, which has its spring from the Hoverla. And if you want something more exciting and sharp, we recommend to try rafting in the Carpathians. 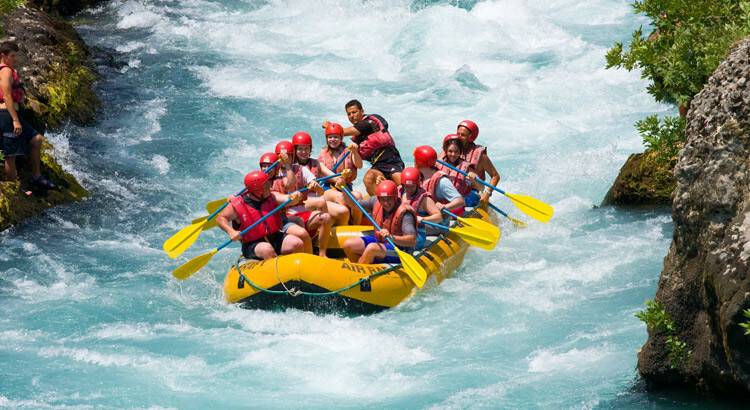 The Black Cheremosh – is an ideal place for rafting lovers. The mountain river is very dynamic and has a great number of rapids. It’s a perfect place for those, who want to be excited. It is attracting also, because there is more plane routes for those, who take an oar for the first time. Rafting in Ukraine has quite a long history, so all routes have long been investigated and properly trained by professional instructors for safe rafting. A professional sports equipment will ensure not only your safety, but also comfortable descent on the mountain rivers. Rafting tours in the Carpathian Mountains is not just a recreation, you will not forget it for a long time, it is also unity with nature, new friends and dinner by the fire.